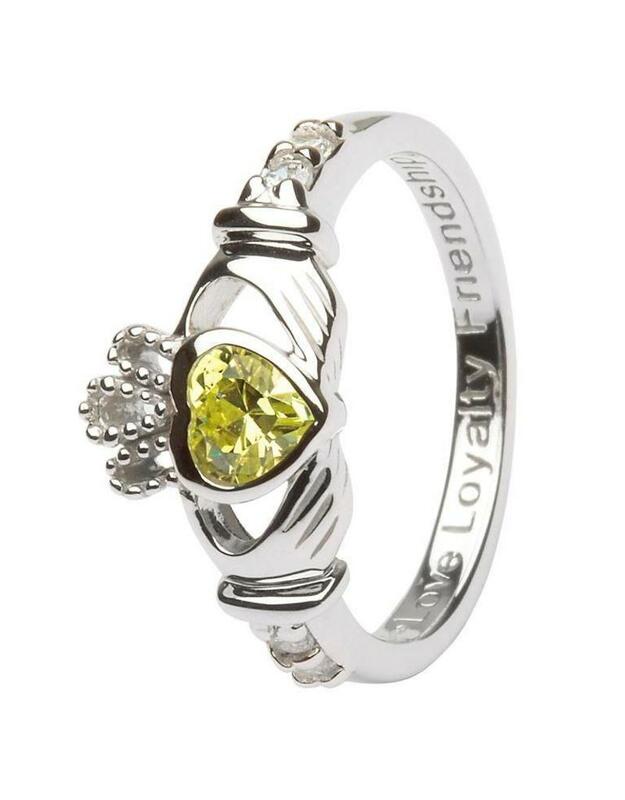 The Claddagh represents your love, loyalty, and friendship towards your friend and your partner, while the birthstone represents your sun sign. 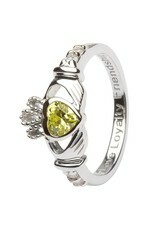 If You Are Single: Wear your Claddagh on your right hand with the heart pointing out to show the world the your are not in a relationship. You Are In A Relationship: Keep the ring on your right hand, but turn the ring around so that the heart points towards you. You Are Engaged: It's official! 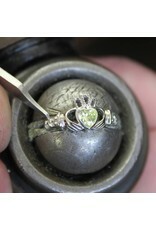 You should wear your Claddagh ring on your wedding ring finger on your left hand with the heart pointing out. 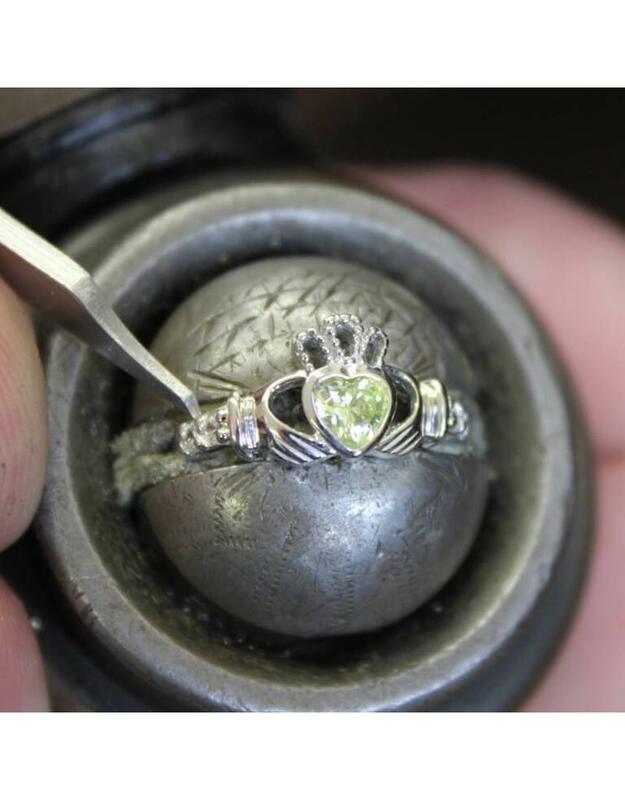 You Are Married: If you choose to wear your Claddagh ring as your wedding ring you wear the ring on your wedding ring finger with the heart pointing in towards your heart.